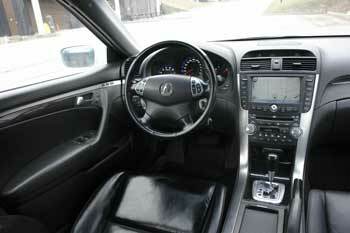 The 2004-2008 Acura TL is a rare sporty sedan. It offers a strong V6 engine, sharp handling and an upscale interior. The list of available features includes HID headlights, Bluetooth and Navigation System with Voice Recognition. The TL scored well in the NHTSA frontal crash tests. The reliability is not bad, but there are a few things to watch out for, please read further. Reliability and problems: A bad engine oil pump seal can cause an oil leak in the oil filter area. The repair costs $450-$500. It's a good idea to combine this repair with the replacement of a timing belt and water pump, as some of the labor overlaps. Several owners mentioned cracks in the dash. It looks like this problem is more common in southern states. The dash replacement is expensive. See this thread of the Acurazine forum discusses the issue. Problems with the Hands free link staying on and draining the battery are mentioned often. 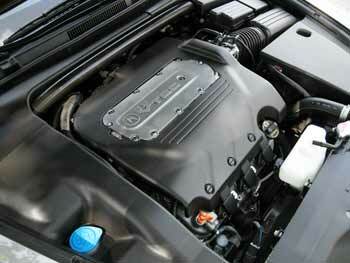 The Acura Service Bulletin 08-057 for the 05-08 TL describes the problem and advises replacing the HFL control unit. The repair costs around $360-$400. Engine mounts can go bad. The replacement of three most common engine mounts may cost up to $1500. Aftermarket parts are cheaper. The side mirror actuator can fail, causing it not to reset properly when using the memory settings. The part is not very expensive, but removing the mirror glass is a delicate task. There are several Youtube videos on the subject. As of 2018, Consumer Reports rates the 2004-2008 TL 4 out of 5 for the reliability. That's even better than 2011-2012 TL (3 out of 5). In-car electronics got the worse scores. The engine and transmission are rated well. Engine: The 2004-2008 TL comes with the 258-hp 3.2L SOHC VTEC V6. 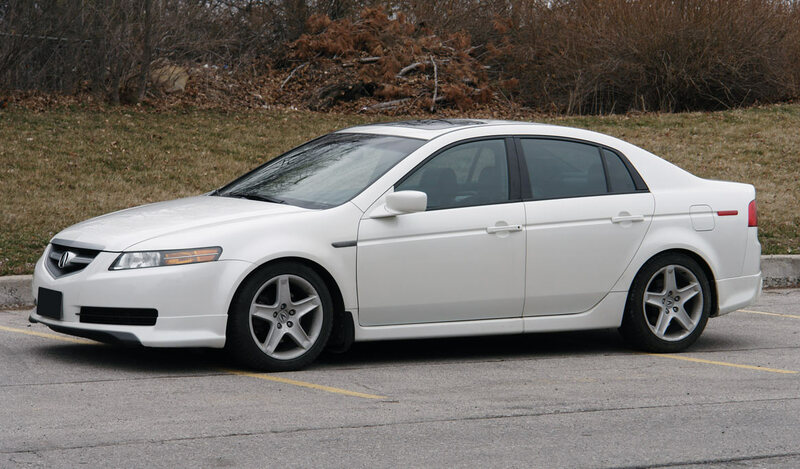 The sporty Acura TL Type-S added for 2007, offers the 286-hp 3.5L V6. With good maintenance, either engine is known to last for over 200K. Read also: How to maintain your engine. Fuel Economy: The 2004-2008 Acura TL 3.2L automatic gets 18/26 mpg (13.1/9.0 L/100 km) city/highway on premium gasoline. On one 17.1-gallon (64.7 liters) tank, the 3.2L TL can go up to 408 miles (657 km) with mostly highway driving. The 2007-2008 3.5L TL Type-S is rated at 17/26 mpg (13.8/9.0 L/100 km) on premium gasoline. Mechanical: The TL has front-wheel drive. Transmission choices included a 6-speed manual or 5-speed automatic. The front suspension is a double-wishbone; the rear suspension has an independent multi-link layout. All four wheels have disk brakes. The Anti-lock brakes (ABS) and the Vehicle Stability Assist (VSA) with Traction Control are standard. Timing belt or chain: Both the 3.2L and 3.5L V6 engines have a timing belt that must be replaced in recommended intervals. Handling and ride: On the road, Acura TL offers sporty handling with precise responsive steering. The ride is firm, but road bumps are absorbed well. The car feels stable and comfortable on the highway. The cabin is quiet, except for a sporty grunt of the engine. Safety: In the NHTSA frontal crash tests, the 2004-2008 Acura TL scored five stars for both the driver and the front passenger. In the NHTSA side-impact crash tests, the 2004-2008 Acura TL received four stars for the front and five stars for the rear seat protection. For more details, visit Safercar.gov. The 2004-2008 Acura TL also received "Good" overall rating in the frontal offset crash tests performed by the Insurance Institute for Highway Safety's (IIHS). Pros: Safety ratings, strong V6, sporty look, handling, premium sound system. If you hear a whining noise from the steering when the car is started cold, there was a Technical Service Bulletin (TSB) on this issue describing a problem with the air entering the power steering fluid through a bad O-ring at the steering pump; the repair is fairly simple: replace the O-ring. To keep your car safe, have it inspected at least once a year in a repair shop on the lift. Keep all the fluids clean and topped up. Acura Owner's Manuals and Warranty - read an owner's manual online, check what's covered by the warranty. Acura owners Maintenance Minders - check the maintenance schedule online.